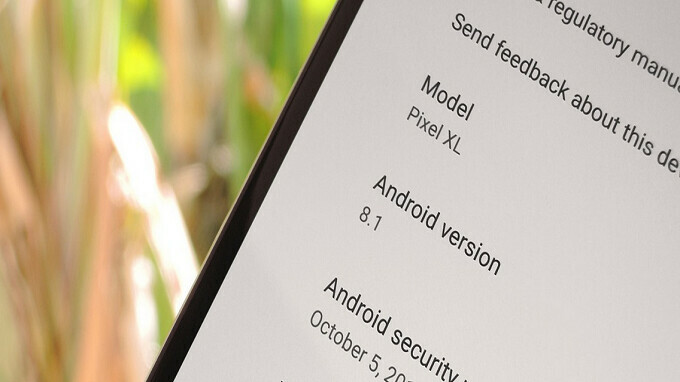 Speed Labels is coming via an update to those handsets currently using Android 8.1. This feature will give you speed estimates of public Wi-Fi hotspots. Armed with this information, you will be able to connect to the faster Wi-Fi network if you have a choice between multiple options. Once the update is disseminated (it is expected to be pushed out starting this week), open Wi-Fi networks will be characterized on your phone's display as being Very Fast, Fast, OK and Slow. Right now, the only handsets that run Android 8.1 are the Google Pixel, Google Pixel XL, Google Pixel 2, Google Pixel 2 XL, Nexus 5X and the Nexus 6P. The new feature will be enabled by default. If you want to disable it, go to Settings > Network & Internet > Wi-Fi > Wi-Fi Preferences > Advanced > Network rating provider > None. Keep in mind that protected Wi-Fi networks won't display any speed data, and network administrators can opt-out so that others won't be able to view the speed of their pipeline.